Once a sleepy lakeside village of cottages and small ranches, Lake in the Hills in the 1990’s was one of the most rapidly growing suburbs of Chicago and in the United States at that time. The Village of Lake in the Hills surrounds Woods Creek Lake. The early days of Lake in the Hills saw vacationers from the Chicago area, who wanted to spend some time away from the city. By 1950, some of the vacationers became year-round residents. 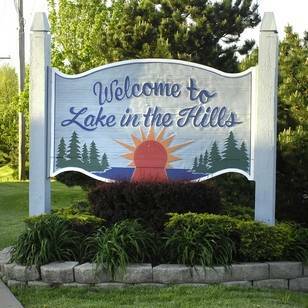 The Village of Lake in the Hills has many different types of homes ranging from condominiums to houses over $1,000,000. It has something for everyone’s budget! Rockin' Rotary Ribfest is a village event showcasing food, live music, and more, held at the village's Sunset Park in early July. Summer Sunset Festival is the village's main festival. Held at Sunset Park on the village's west side, it features live music, food, a carnival, and a firework display and is usually held on Labor Day weekend. Updated:20th April, 2019 8:53 AM.